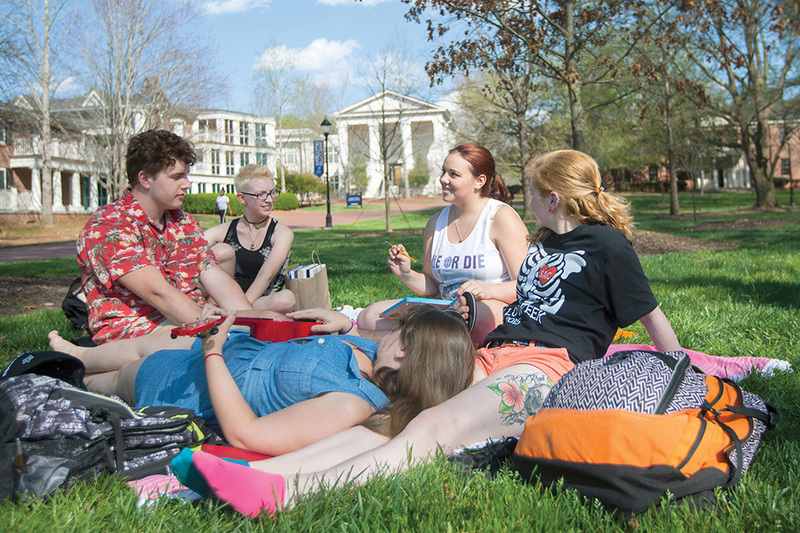 Each year Emory has about 100 transfer students join our community. We’re happy you’d like to be a part of the creative thinkers, problem solvers, and leaders who call Emory home. Oxford College and Goizueta Business School do not accept transfer applicants. Students who wish to complete a BBA at Goizueta Business School must first complete two full semesters of coursework in Emory College and then apply to Goizueta. Transfer applicants interested in the Nell Hodgson Woodruff School of Nursing should review the prerequisites for applying for a bachelor of science in nursing. Emory University considers you a transfer student if you have already graduated from high school and also completed one year as a full-time student (or are in the second semester of your first complete year as a full-time student) in a degree-seeking program at another two-year or four-year college or university. A minimum of 28 credit hours must have been completed or in progress before applying. The 28 hours of credit cannot include credit from AP, IB, or dual-enrollment classes. A transfer student is required to complete two years (four semesters) of coursework at Emory University. For that reason, a transfer student may only transfer up to 62 semester hours of college credit. Applicants should have a minimum cumulative GPA of 3.0 on a 4.0 scale in all college work attempted, and most students admitted into Emory College have a GPA of 3.5 or better. In the 2017–2018 cycle, about 25 percent of transfer applicants were admitted. Students who were expelled, forced to withdraw, or are currently on academic probation at another college or university are not eligible for transfer admission. $75 application fee or fee waiver through the Common Application. Official transcript(s) from all colleges and universities attended (including summer course work). Official high school transcripts, including all four years and graduation date. Self-reported or official ACT and/or SAT scores. Test scores are required if the student has not completed two full semesters (or three quarters) of college. If you are currently completing your second semester (or third quarter) of college, self-reported or official test scores must be submitted. Note that the Documents tab within Program Materials of the Common Application is simply for supplemental materials. We require that your schools send us an official high school transcript and college transcript(s). You may choose to submit unofficial copies of these via the Common App Documents tab, but official copies from your school(s) are still required. No other materials listed in the Documents tab are needed or requested by us in order to apply. There are no required courses you must take in order to apply as a transfer student. We expect that students will have taken a broad curriculum, preparing them for our academic environment. Emory University does not evaluate credit prior to offering admission to an applicant. Credit evaluation occurs after a student has been admitted. Find out more about transfer of credit. To be considered for financial assistance, students must apply for financial aid upon applying for admission to Emory University. Students who apply for financial aid after the deadline will not be considered for financial aid. Review materials required by the Office of Financial Aid. Merit-based aid is not available for transfer students. Need-based aid is not available for international transfer students. All international applicants must complete the International Student Certification of Finance. Will Emory take all of my college coursework? Before or during the application process, our staff is not able to advise on what classes we will or will not accept. There are no specific courses required to apply as a transfer student. After you have been accepted, we will review your official transcripts with the required accompanying descriptions of courses from your institution’s course catalog. If the class description is similar to what we offer, that course will count toward Emory graduation credit. We will award a maximum of 62 credit hours. Transfer credit is evaluated on a tentative basis and may not be finalized until the end of your first semester at Emory. Credit evaluations will be processed four to five weeks after admission. 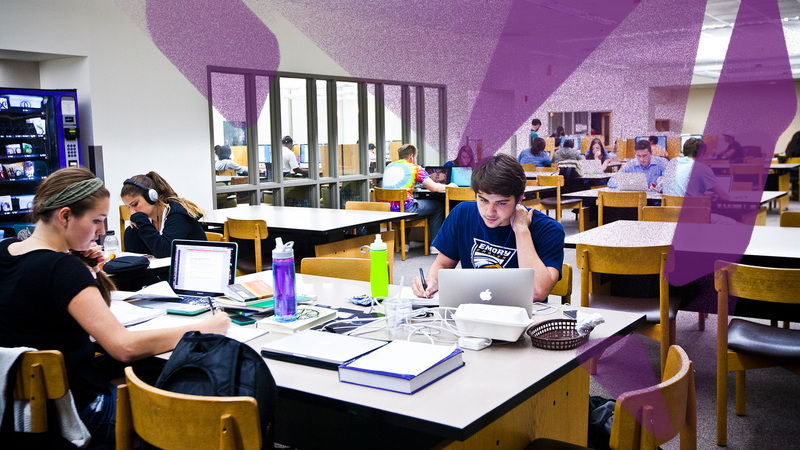 To graduate from Emory, you must obtain 124 total academic credits, 62 hours of which must be completed at Emory. Students who transfer with the maximum of 62 credit hours will need to complete 128 total academic credits, 62 hours of which must be completed at Emory. Emory does not grant academic credit for any form of online or distance education courses. I am interested in business. Where do I apply? GBS does not directly accept transfer students. GBS prefers students complete the majority of their business coursework here at Emory, so students with a number of business classes from another institution are not good transfer candidates. You will be required to spend at least one academic year in Emory College before being eligible to apply to GBS, and admission to the program requires a strong academic performance and involvement at Emory, not just at your previous school. GBS requires a minimum of four semesters of enrollment for all students graduating from its program. Students who have an interest in business and have completed two years of college work are not good candidates for transfer to Emory because, at a minimum, transfer students will spend another three full years—one at Emory College and two at Goizueta—before graduating. I am interested in nursing. Where do I apply? Transfer applicants interested in the Nell Hodgson Woodruff School of Nursing should review the prerequisites for applying for a bachelor of science in nursing. If you have completed these requirements by the time you’d like to start at Emory, you should apply directly to the School of Nursing. If you have not completed these prerequisites, you should apply to Emory College. Housing for transfer students is not guaranteed, but we invite enrolling transfer students to apply for housing if they are interested in living on campus. If housing is available for incoming transfer students, the Office of Residence Life and Housing Operations will make assignments on a first-come, first-served basis. Can undocumented students apply as transfer students? Yes, undocumented students (with or without DACA) can apply as transfer students. Learn more about applying as an undocumented student. Individuals already holding a bachelor’s degree are not eligible for admission to Emory College as a transfer or visiting student. You can apply for nondegree admission if you have a bachelor’s degree and simply would like to take undergraduate courses as a nondegree-seeking student. Do you offer interviews for transfer applicants? Due to the large number of applicants, Emory does not offer interviews to transfer applicants. I have been out of school for a while and don't have professors. Who should write my letter of recommendation? You can submit an employer recommendation if you have been out of college for at least one full year. If I am admitted, may I defer my enrollment? Transfer applicants who are admitted for a specific term must choose to enroll for that term or forfeit their admission. An admitted transfer student who chooses not to enroll must wait a full academic year and submit a completely new application via the Common Application to be considered again for admission. If I am not offered admission, may I reapply? Yes. A transfer applicant denied admission may reapply for the following fall semester.